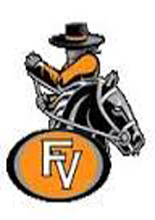 With a team comprised mostly of returning players from last year’s team, Fernley girls basketball coach John Rogers is looking for the Vaqueros to show a deeper understanding of the team’s systems, particularly on offense. In short, he’s hoping they learn to see plays develop, instead of seeing them happen. The Vaqueros, who lost only one senior from last year’s team and had one other potential returner decide not to play, open the season Thursday at 4:30 p.m. against Incline in the High Sierra Winter Challenge at Spanish Springs. They will also face Spanish Springs Friday at 3 p.m. and McQueen Saturday at 11:30 a.m. The JV and freshman teams will also play in the tournament, with their first games at Galena Thursday and the final two at Spanish Springs. Ross Wilson will coach the JV team, while Gabe Velazquez is the freshman coach. Rogers said a total of 43 players tried out in all three levels, and the coaching staff ended up keeping 33 players. However, he said there were still decisions to be made on which level a couple players will be assigned to, and he wasn’t ready to announce his set rosters yet. The team was scheduled to scrimmage at Spanish Springs last Wednesday. Along with a lot of experience, Rogers said the Vaqueros also have a lot of height, which they will try to use to their advantage. But, he said, the large number of returning players will allow them to start out the season familiar with the team’s offensive and defensive schemes. Because most of the players just recently finished playing a fall sport, Rogers said the team was rusty as it began practice. While the past two years Rogers used the first handful of games to get a feel for which lineups worked best together and which roles suited individual players, this year he’s looking to focus more on being competitive right away. “Our focus is more on being competitive and taking the systems to the point, most girls know and understand the system, but to the point where they’re better at decision making and being more productive on offense,” Rogers said.